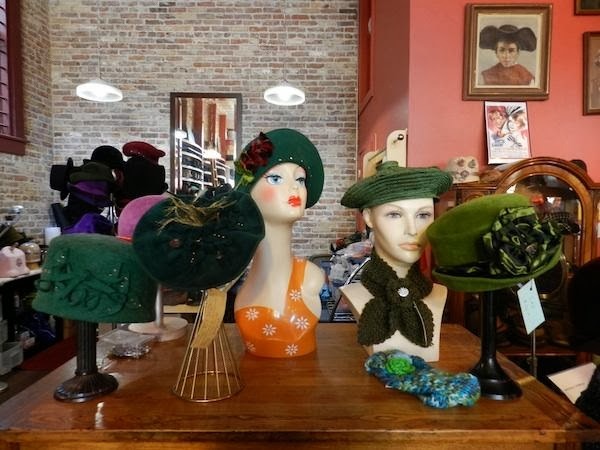 We're very excited to announce yet another new shop carrying House of Nines Design hats in California- Portobello Hats in Santa Rosa. 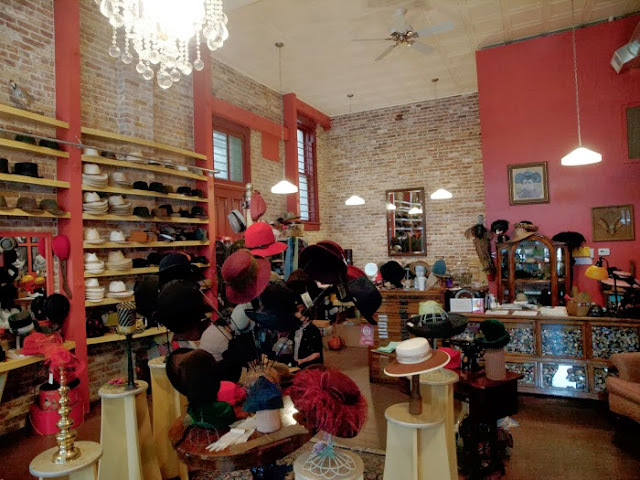 They carry vintage, classic, and hand-made hats for both men and women, and also offer classes in hat construction and design. 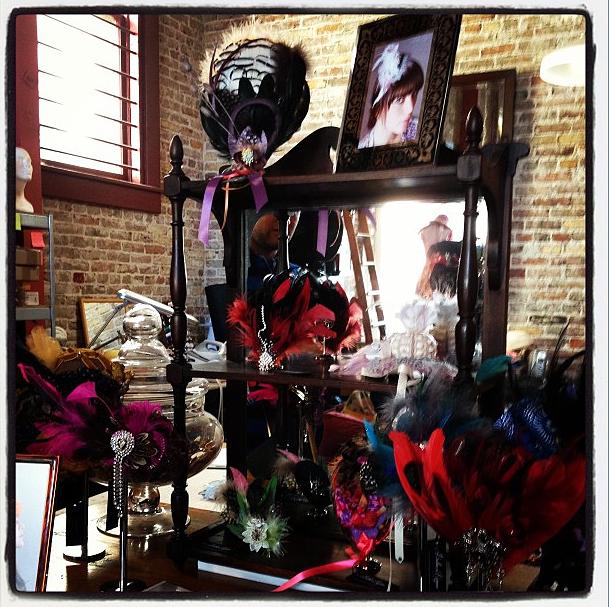 Here are a few shots of the interior of the shop. 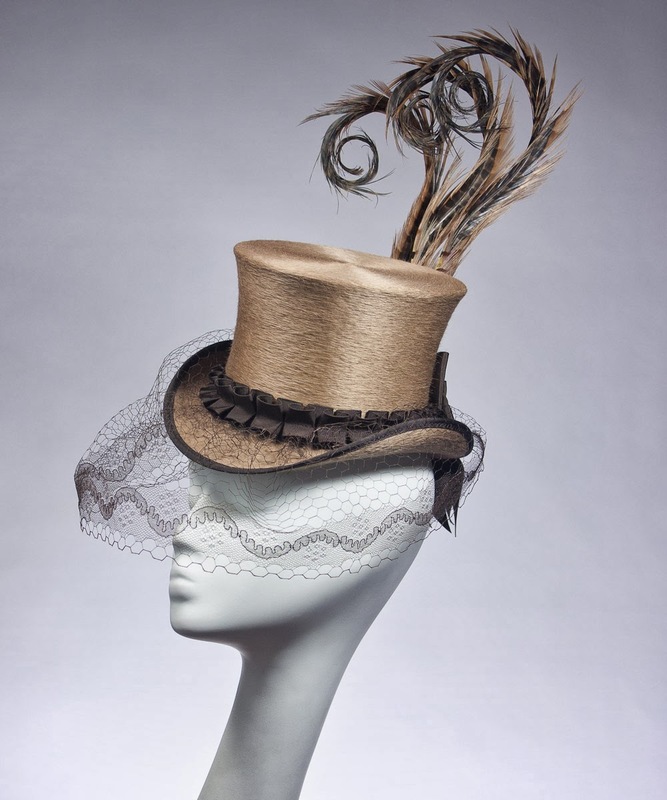 Here are the first batch of our hats that they've got in stock now. 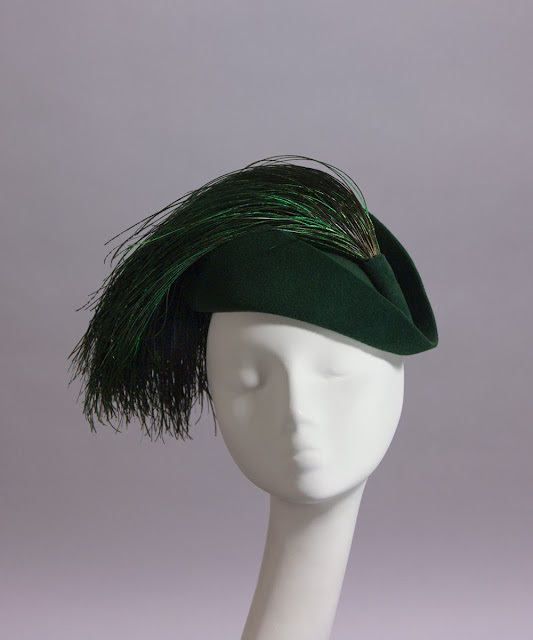 'Maxima' ladies cocktail hat in hunter green velour-finish felt with peacock feathers. 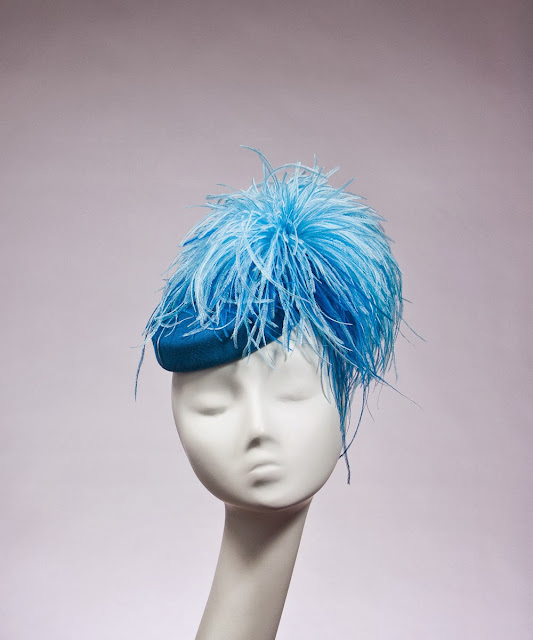 'Pluff' mini pillbox in pacific blue tones. 'Bird Series: Peacock' mini top hat in navy blue fur felt with blue and green ribbon trim, vintage silk veiling, and a big spray of peacock feathers. 'Una' petite mini top in camel long-nap felt with chocolate brown trim, silk veiling, and hand-curled pheasant feathers. 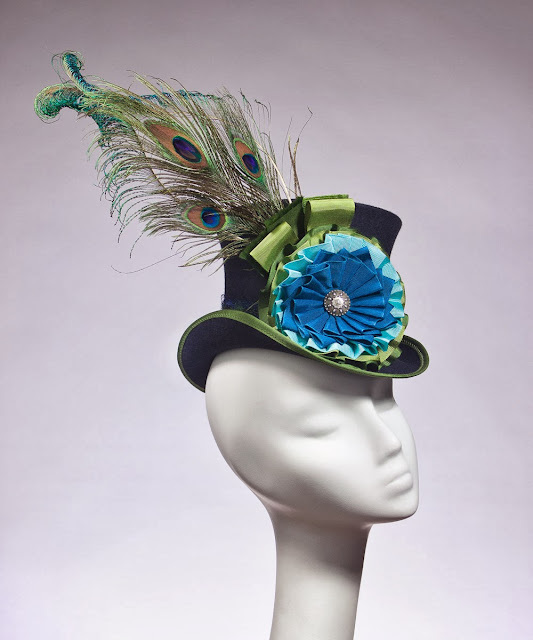 Be sure to check the shop out if you can make it in for a visit- they carry the work of a number of talented milliners!